There’s a natural feeling of panic when you log into Google Analytics and seeing the red numbers indicating that a metric has fallen by a certain percentage. While reduced numbers in web traffic are never good, they are inevitable. Though looking at these numbers objectively, can offer insights to improve performance. Understanding how these two metrics are generated is the first step into a basic understanding of analytics. When users come to the page from an external URL it is classified as a “visit.” Visits end after a 30 minutes of inactivity. Note that one visit is counted even if the user visits several pages. A pageview refers to the count each time that a page is loading in a browser. The tracking code on each page counts each time the page is reloaded. As an example: if someone clicks on your website from a link, and goes to three different pages, it will be recorded as one visit and three pageviews. 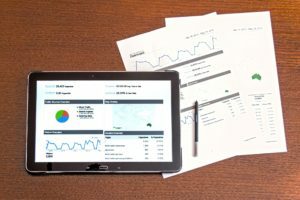 While visits and pageviews are a surface-level example, these metrics can already lead to a number of helpful insights. Examining number of visits to pageviews is a good start. Say that you have a high number of visitors and low number of pageviews. Do most of your visitors seem to look at one page and then leave the site? Then you can dive deeper, find out what page they are looking at, and visit the Acquisition tab to see where they are coming from. Monitoring Google Analytics is a great method to continually optimizing your website and even improving business as a whole. Identify pages that are seeing increased clicks without promotion. Or evaluate the success of online promotions based on the number of clicks. It can be used to identify areas to focus efforts help plan the allocation of resources. 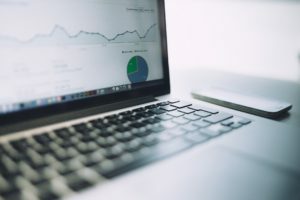 Sure a Facebook campaign will tell you that you reached a certain number of people but looking in to Google Analytics reveal what actions those viewers took. Have a question about your website analytics, or looking to improve your website reach? Shoot us a message!